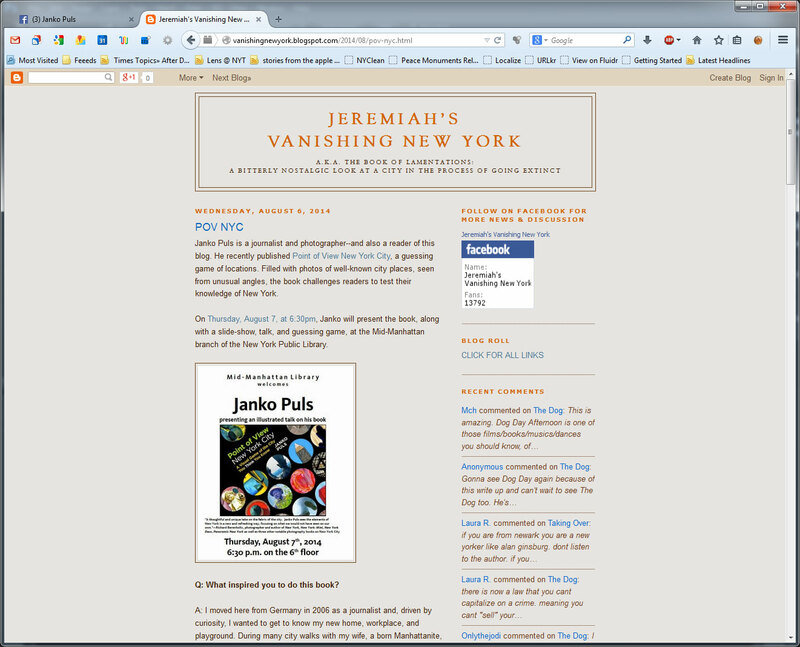 Thanks, Jeremiah's Vanishing New York, for this nice article on my book! Read about my illustrated talk at the New York Public Library and enjoy the interview! For the few among you who don't know who Jeremiah Moss is: The awarded journalist runs the blog Jeremiah's Vanishing New York a.k.a. The Book of Lamentations: a bitterly nostalgic look at a city in the process of going extinct [Blog ~ Facebook]. He covers the loss of what makes New York New York and works our conscience as we are losing the city's very soul to an onslaught of investors, real estate developers and trust fund babies. The blog is Manhattan-centric but covers the five boroughs. Moss started the blog in July 2007 in frustration over the rapid losses in the city and the actions of the Bloomberg administration - some people say it's slowly turning into a movement against the ongoing hypergentrification. To get an idea what is driving Jeremiah Moss, don't miss the brilliant conversation with Tim Teeman in the Daily Beast: The End of New York: How One Blog Tracks the Disappearance of a Vibrant City. Jeremiah's is one of the blogs I religiously follow (though it's hard to bear at times). The second blog I follow daily is E.V. 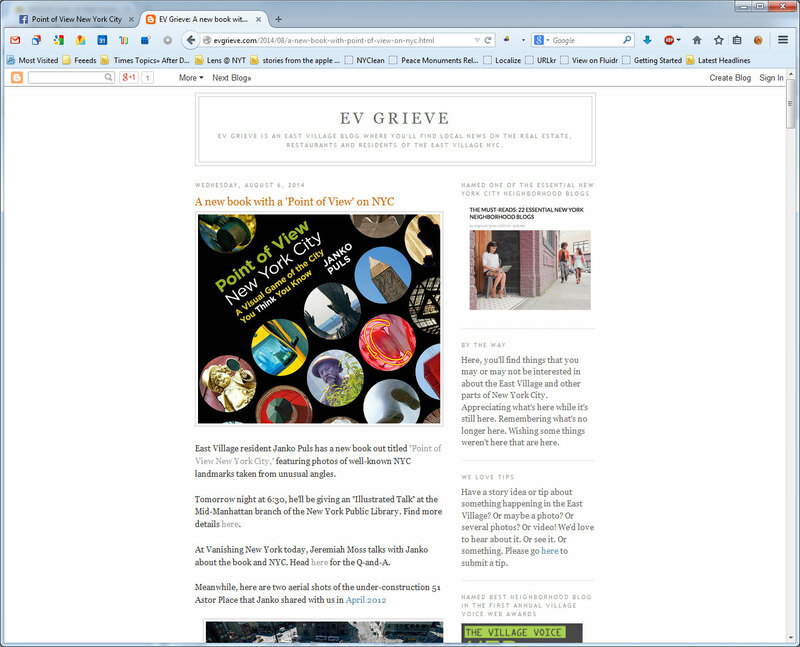 Grieve, who covers my immediate neighborhood, the East Village. E.V. Grieve [Blog ~ Facebook], who writes like Jeremiah under a nom du plume, gave me a leg up for tomorrow's "illustrated talk" at NYPL. Thank you guys, and I hope to see you tomorrow!